For home owners and businesses alike, power is one thing you simply cannot afford to take for granted. While the instances that we might have to go without power in Las Vegas & Henderson seem few and far between, there’s no need to take chances. Having a power generator in place for just such an occasion could mean the difference between you and disaster. When most people think of generators, they tend to think about things such as construction sites and those who are turning to off-grid solutions for everyday living. The fact is, however, that more and more people are choosing to install generators in their homes and businesses. Below are a few reasons home generators can be a practical, cost effective solution at your home. When the power is out, appliances shut off. Usually worst case scenario is having to reset clocks and power devices back on when electricity becomes available. Some appliances however have consequences. Food storage for instance can constitute a problem if refrigerators and freezers become inoperable for any substantial amount of time, as many items can spoil in just a few hours at room temperature. A much more serious reason to have a power generator on standby is the need for home medical devices. Equipment such as a CPAP machine for those suffering from sleep apnea, electrical hospital beds and chairs for those with mobility issues, heart monitors, dialisis machines and more are all dependent on electricity without fail. When you depend on one of those, you cannot tolerate the risk of a power outage. In cases where these devices are present, it is a good idea to have a power generator on standby that is dependable and will not let you down. This is a situation where you will want a professionally installed system that you know you don’t have to worry about. Furthermore, if a disaster were ever to occur, scrambling to find a power generator may be the last thing you want to do. As we have seen in 2017 during several hurricanes and natural disasters that affected the power grid, most big-box stores sell out quickly and you might not have the time or ability to go shopping around. As many security experts in Las Vegas will tell you, one of the first things many home intruders often due with the increasing presence of home cameras and security is cut a homes power. In many cases, this is as easy as opening unlocked circuit panels located on the exterior of a home, and switching breakers to the off position. In the absence of back-up power or batteries, this will not only turn off the lights, but shut down cameras and alarms preventing anyone home or away that there may be an intruder. Permanent power generators that automatically turn on with power loss can mitigate these concerns, and ensure continued security and monitoring in the event of a blackout or loss of power. The decision regarding whether to use a portable power generator or having one permanently installed is a personal one. There are certain things that stand out about each one, and those things could be a determining factor for your personal situation. In the case of medical devices and security, you might opt for the permanent install, as the generator will kick on as soon as the power goes off. For matters of less importance, a portable power generator may be all you need. These types of generators are much less expensive than their permanent counterparts. However, they are completely dependent upon your presence. You have to manually start the generator and, if you have to use it for any length of time, monitor the gas consumption. Furthermore, a portable generator must be no closer to your home than ten feet, because of the carbon monoxide emissions. At the same time, you will want to house it in an enclosure that keeps it safe from the elements but also allows for free movement of air. 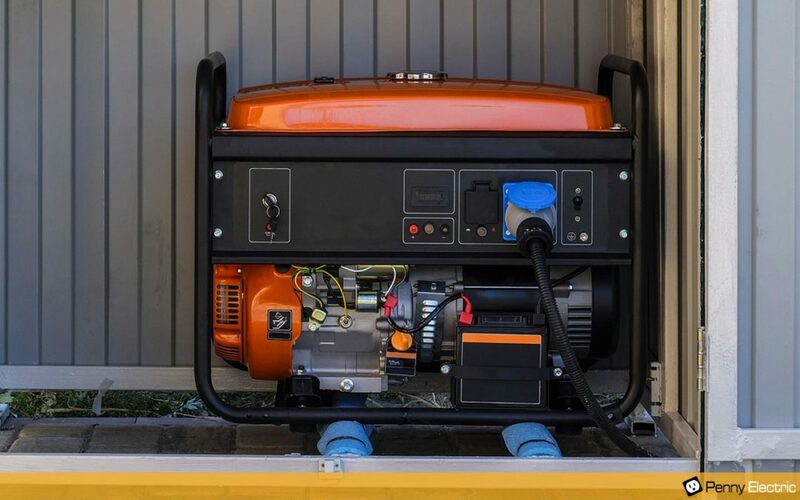 If you are using a portable generator in an emergency situation, it’s likely that it will only be able to power the most important appliances in your home. They simply are not big enough to handle the brunt of everything from appliance, televisions, lighting and everything else. Plan to downplay your energy output if you will be depending on a portable. You can find these in many different sizes, but all in all the expense will be more. The main reason for this is that you are paying for more peace of mind. Should you need to leave your home for vacation or business for a few days, you can rest assured your generator will take care of any random power outages. They are very quiet, much safer than a portable generator and, should you decide to sell your home, they can bring about 50% of their original cost in the sale. The downside to permanently placed power generators is that they need maintenance every two years. However, with that maintenance, the reliability can be determined, and if there are needs such as medical equipment involved, the peace of mind is absolutely priceless. Another recent technology is the installation of battery banks to actually store power, which are often used in conjunction with Solar Panels. While battery banks definitely have their place, including noise-free operation and supply benefits during peak (more expensive) usage hours, power generators can be a much less expensive solution to just the backup-power supply side of things. If you are considering a home generator, and need assistance with electrical or infrastructure to ensure the safety and reliability of your investment, feel free to contact us for cost estimates and recommendations. Penny Electric is a licensed electrician with years of experience available to help every step of the way.